Take a Free Guided Tour of the Trail to Treasure! 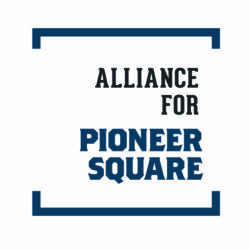 Pioneer Square is the historic birthplace of Seattle. After initially landing on blustery Alki Point in current day West Seattle, the Denny Party moved inland to settle on the calmer tideflats of Pioneer Square. It was here that fellow settler Doc Maynard suggested that the burgeoning village be named Seattle, after his friend Chief Sealth. Doc Maynard also convinced an entrepreneur named Henry Yesler to locate his sawmill at the settlement’s shoreline on Elliott Bay. It was here that Yesler’s Mill jump-started the economy, which spurred Seattle’s growth from a frontier town into a bustling city. These earliest beginnings are Seattle’s proud heritage, and is evident throughout Pioneer Square to this day. 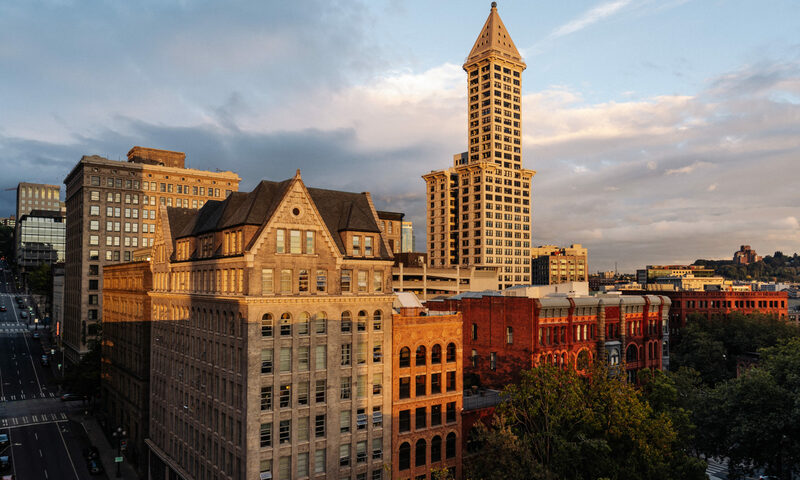 The Trail to Treasure follows the people who settled here – many of whom have become local legends and takes you on an exploration of Seattle’s early history, in the neighborhood where it all began – Pioneer Square. Get to know the stories of the special places and events that helped shape the development of Pioneer Square, the city of Seattle, and the greater Puget Sound region. Free drop-in walking tours of the Trail to Treasure begin June 19, 2015 through September 27, 2015. The tour begins at Klondike Gold Rush National Historical Park (319 2nd Ave S, Seattle, WA 98104) at 2 pm on Fridays, Saturdays, and Sundays. Call the Klondike Gold Rush NHP at (206) 220-4240 or email info@trail2treasure.org for more information. Find a Trail to Treasure walking map at the Klondike Gold Rush National Historical Park or at Milepost 31. Both visitor centers are located in Pioneer Square and are great places to start your historical tour. In 2013, the first round of Trail to Treasure wayside exhibits were installed in sidewalks throughout Pioneer Square. These informational panels feature historical photos and facts that give pedestrians the opportunity to see the urban environment around them as it once was. Whether you come across a wayside or start at the first point on the Trail to Treasure walking map, we’re excited to have you explore the history of the neighborhood and of Seattle! The Klondike Gold Rush National Historical Park is a visitor center that preserves the story of the 1897 Klondike Gold Rush. The Klondike has also hosted summer Trail to Treasure walking tours which have been tremendously popular – look out for next year’s schedule for guided tours.